Just one cup of Cranberry Orange tea is enough to make it one of your favorites! Loaded with cranberries and orange peels, this citrus blend is full of antioxidants and flavonoids, both of which add refreshing zing to your taste buds and vitamin C boost to your body. With some rooibos to balance out this flavor medley, Cranberry Orange mixes fruit sensations with a subtle floral bouquet that makes your heart beat faster! 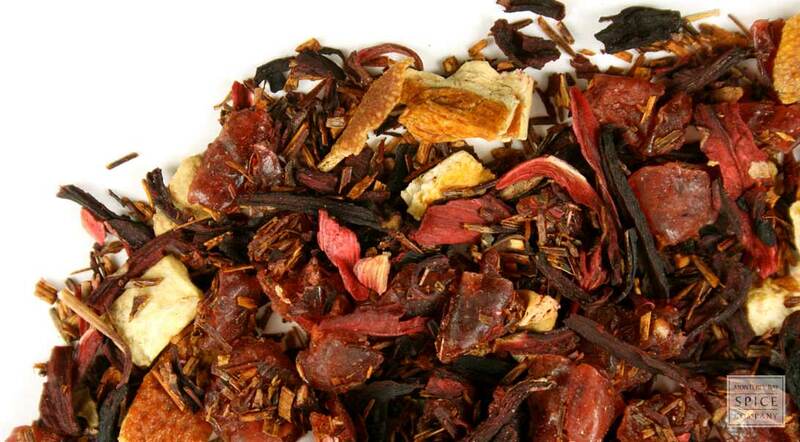 Ingredients - Cranberries, orange peel, hibiscus, and rooibos with cranberry and orange flavor.